Do you ever feel like you’re making unnecessary mistakes? This audiobook is a collection of stories on how make your life an adventure, but also changing your mindset and tackling adversity. 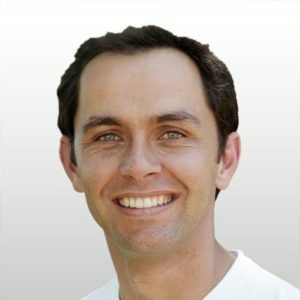 Alan Knott-Craig is a successful entrepreneur, best-selling author and founder of Project Isizwe, an NGO rolling out free Wifi in poor communities across Africa. Originall from Pretoria, he studied at Nelson Mandela University and qualified as a Chartered Accountant in 2002 and has subsequently invested in or funded 27 companies in the telecoms, media and tech industry. Alan was named as a Young Gl;obal Leader by the World Economic Forum in 2009. Forbes listed him as one of the top ten young African millionaires to watch. He was also included in “100 Choiseul Africa”, a list of top 100 young African business leaders in 2014, 2015 and 2016, and nominated as the 2015 ICT Personality of the Year by ITWeb. Alan has a passion for entrepreneurship, and a dream that all Africans will one day have free WiFi.